A revolutionary organizer for angling supplies, the Lure Lock Tackle Box with ElasTak Liner is a clear plastic tackle box made of durable material, secured with easy-to-open green locking latches. 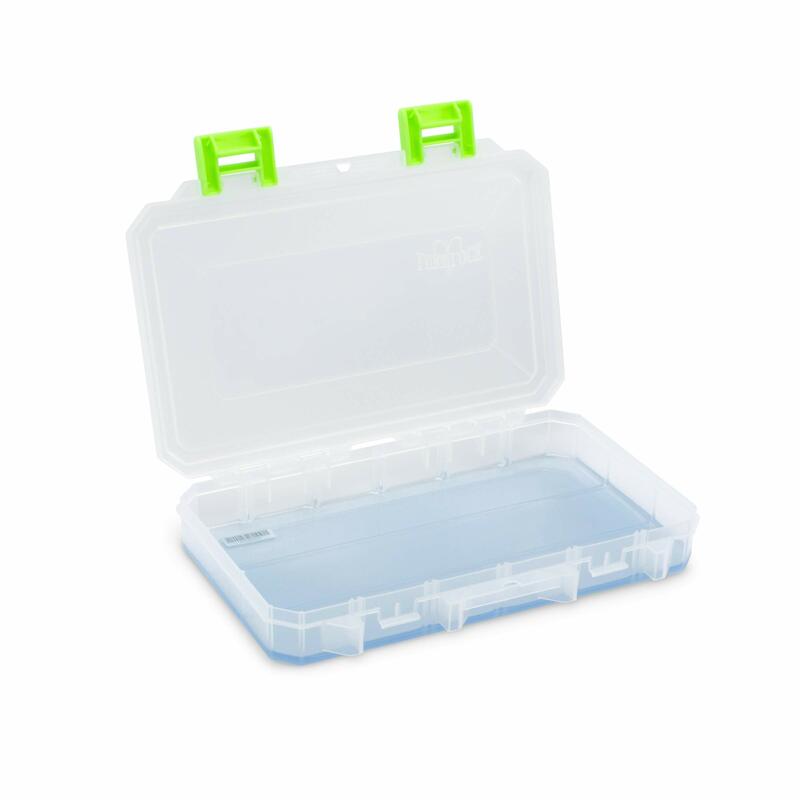 A revolutionary organizer for angling supplies, the Lure Lock Tackle Box with ElasTak Liner is a clear plastic tackle box made of durable material, secured with easy-to-open green locking latches. It comes with Snap-Apart Dividers so anglers can customize it into what they need. To top it off, it features the proprietary, odorless and environment-friendly ElasTak Liner, a gel membrane that sticks and holds the lure, baits, hooks, and other supplies to its surface, preventing damage and disorganization. It has an outstanding durability, proven over several extensive tests, to provide uncrushable, rock solid performance. Available in Small (up to 3 cavities), Medium (up to 3 cavities) and Large (up to 4 cavities) sizes. The Lure Lock Tackle Box with ElasTak Liner is a tackle box with a unique gel coating on the bottom to help keep lures secure and organized. 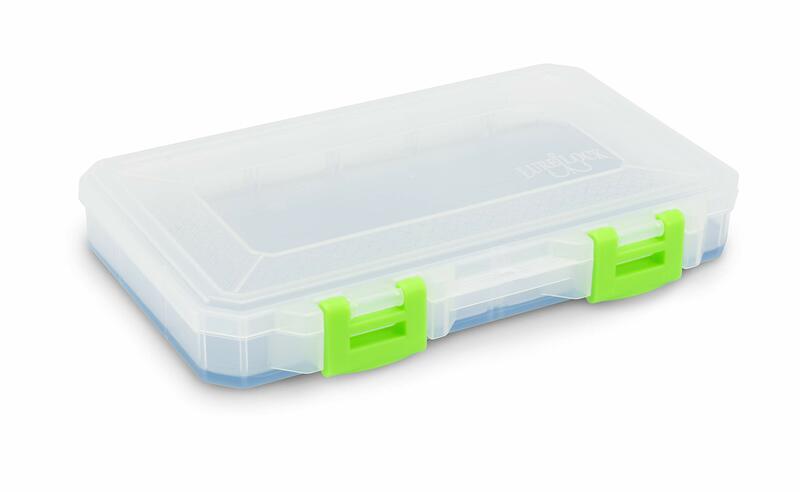 Made of sturdy clear plastic with easy-to-open green latches. Comes with Snap-Apart Dividers for easy customization to fit any angler’s needs. ElasTak Liner is scent-free, environment-friendly, and will protect lures, weights, baits, hooks and tackles. Available in Small (up to 3 compartments), Medium (up to 3 compartments) and Large (up to 4 compartments).